Here's more info on that. 4 principles of Innovation preparedness. Have fun and stay productive even when the bleep hits the fan. Techniques to notice the bleep and move the fan before impact. Bleep? That’s not bleep. That’s an opportunity. This presentation is a value packed experience that engages and enlivens the room to deliver experience-changing strategy. This is how you make the most of your diversity and increase it over time. What's outlined below are examples drawn from common packages created for our clients. Together, we'll tailor a package to meet your specific needs. The core of IMPACT is one day of intensive Adeptability Training. Optimize team communication and performance. We start by learning about your objectives for learning and outcomes, and then we tailor our highly experiential curriculum for maximum impact. Workshop session (3-6 hours) for up to 30 participants. Advance consulting with client company leadership to set goals and priorities and gain a comprehensive understanding of the current state of your team. Pre-assessment survey of team and team leadership. Post training consultation with leadership about cementing learning, workplace application, and making it last. Collaborative assessment post training to measure impact. 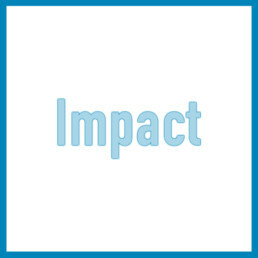 Having an impact is good. Generating momentum is better. 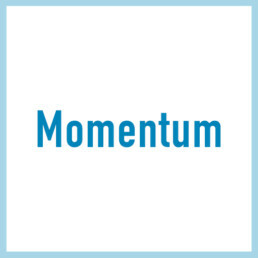 The core of MOMENTUM is two days of intensive Adeptability Training, plus some coaching to keep things moving. Access to coach — call anytime. Callback within 24 hrs. Pre and post workshop assessments to measure progress and momentum. Gaining momentum is great. Achieving transformation is for keeps. 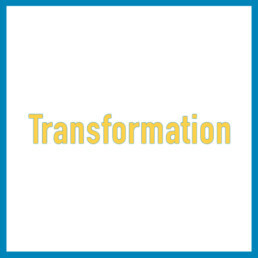 The core of TRANSFORMATION is four days of intensive Adeptability Training, plus more coaching and brush-up training sessions to drive change deep into the fabric of organizational culture. All training programs are tailored to the needs of the client — and we set goals in collaboration with the client. Each training is designed to target the needs of the team we’re training. Durations, structure, and topics above are flexible. 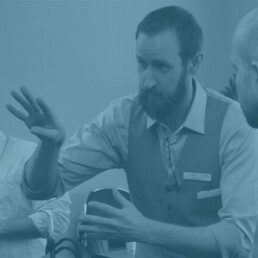 Our experiential training program employs tools, techniques, and principles derived from the practice of theater improvisation — without doing ‘improv’ or asking anyone to perform — combined with modern neuroscience, organizational psychology, learning theory, and best practices of leadership. It’s change you’re after. Information doesn’t drive change. Experience does. The training is engaging, fun, challenging, and involves everyone equally. Fun is a tool, rather than an end in itself — our brains are wired to learn during high-arousal experiences. That’s why we promise: No ineffective, boring, PowerPoint-lecturing yak-yak. You asked for change. We aim to deliver. Each workshop we offer follows essentially the same format. After a brief introduction and expectation setting conversation, we get participants on their feet, and begin a series of exercises. We facilitate an exercise, designed to introduce and drill principles that support your goals. Participants are all engaged, and all challenged to extend their capacity to inhabit the principle or principles being drilled. Then, we facilitate a conversation about the experience, the application, and the growth potential introduced by the exercise. Then, we move on to a new exercise, built upon the learning from the first. Drill, discuss, repeat with a new exercise. The exercises employed, the principles highlighted, and the discussions that follow all are tailored to most directly support the goals that you’ve laid out for us. Repetition, engagement, and reflection cement learning and prepare participants’ minds for the formation of new habits. The vocabulary, the concepts, and the shared experience leading to accountability help to insure that the changes last — and deepen — over time.